The government would also take steps to promote exports and restrict non-essential imports, said Jaitley. The government on Friday announced an array of steps, including removal of withholding tax on Masala bonds, relaxation for FPIs, and curbs on non-essential imports, to contain the widening CAD and check the rupee fall. Modi was briefed by RBI Governor Urjit Patel, and top officials of the finance ministry on the health of the economy. These measures are likely to have a positive impact to the tune of $8-10 billion, a top finance ministry official said. 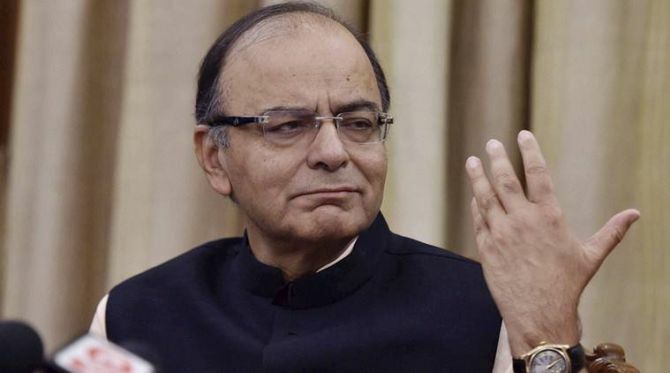 Briefing media after the meeting, Finance Minister Arun Jaitley said the government has decided on "five steps" to contain CAD, which widened to 2.4 per cent of the GDP in the first quarter of 2018-19. He said several issues were discussed during the meeting and decisions on those are likely in the next few days. According to Jaitley, more issues would be discussed in the meeting with the prime minister on Saturday. The minister said that external factors like policies adopted by the US, trade war and crude oil prices are impacting economies like India, despite "strong fundamentals". However, he did not disclose the list of non-essential items which would be subject to import restrictions. "To address the issue of expanding CAD, the government will take necessary steps to cut down non-essential imports and increase exports. “The commodities of which imports will be cut down will be decided after consultations with concerned ministries and will be WTO-compliant," he said. Economic Affairs secretary S C Garg said the five measures would definitely have a meaningful impact. "It is difficult to give a specific number. I think it should have an impact of $8-10 billion," he said. The rupee touched an all-time low of 72.91 against the US dollar on September 12 and it closed at 71.84. The domestic currency has declined around 6 per cent since. Petrol and diesel prices have also touched record highs. Bring petrol and diesel under GST NOW!